FC Barcelona picked up a valuable 3-1 win against Leganés in the league at Camp Nou, a result that now means that the team have gone 38 games without defeat in the competition. That figure equals the current record set between 1979 and 1980 by Basque club Real Sociedad. The blaugranes have not lost in their 31 games in La Liga this season, carrying on from their unbeaten run of seven games in the previous campaign under Luis Enrique. To find Barça’s last defeat you have to go back to 8 April 2017 in La Rosaleda when Málaga came out on top against FC Barcelona. 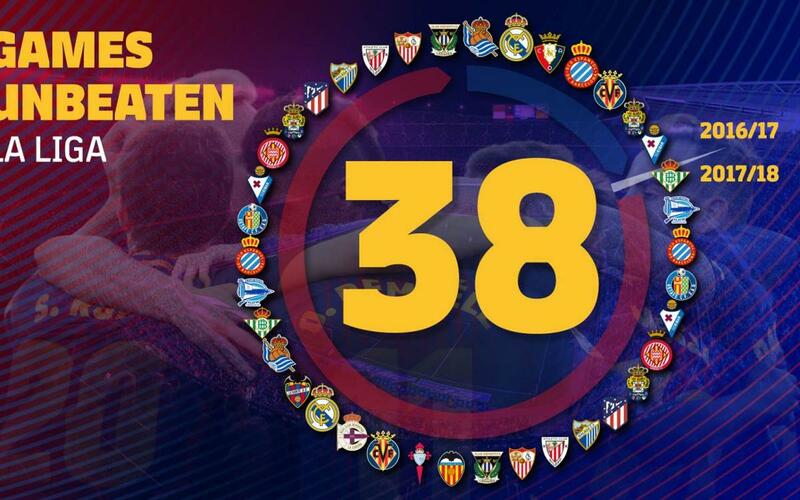 Barça now share the best unbeaten record in La Liga history and also have the third best with their run in the season 2010/11 of 31 games unbeaten under coach Pep Guardiola. The record could not have come at a better time with coach Ernesto Valverde celebrating his 50th game in charge of the side.